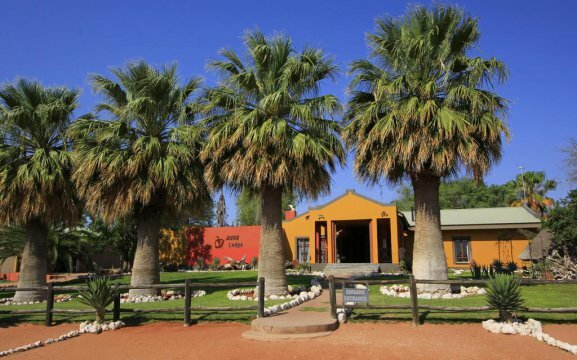 Auob Country Lodge is located on the banks of the dry Auob River, in a green oasis only 6km outside Gochas. 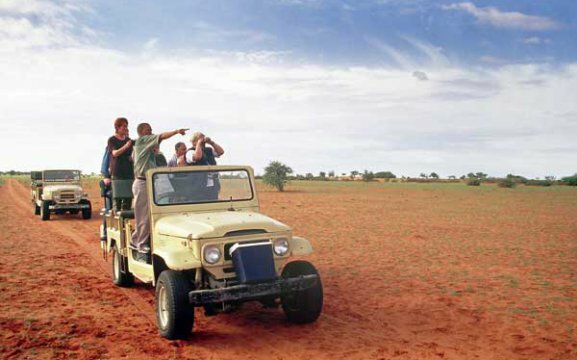 With amazing 360° view over the Kalahari sand dunes and wildlife. 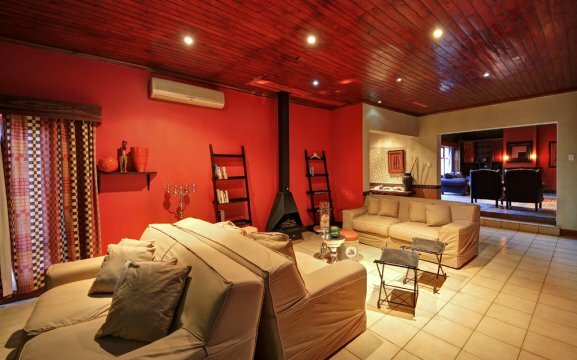 Our lodge features an outdoor pool, a curio shop, a landing strip for small airplanes, a restaurant and bar, a TV room with a fireplace in the lounge and an outside lapa. 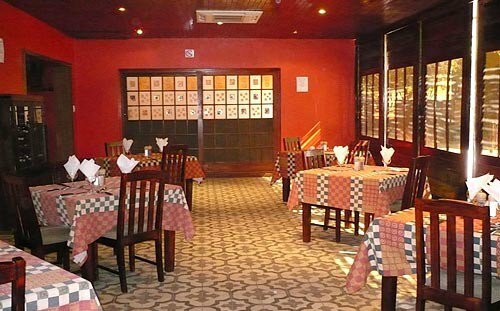 Our restaurant offers breakfast buffet, a small healthy lunch and for dinner a 3-course meal. 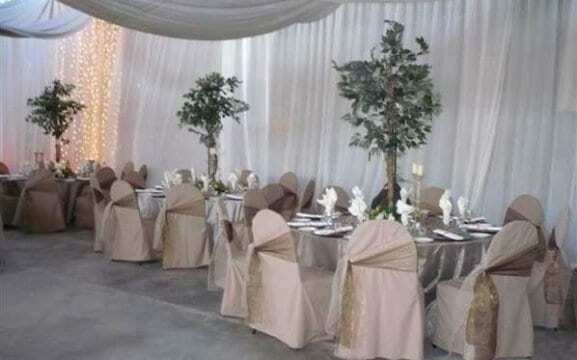 We also have conference facilities for up to 52 people. 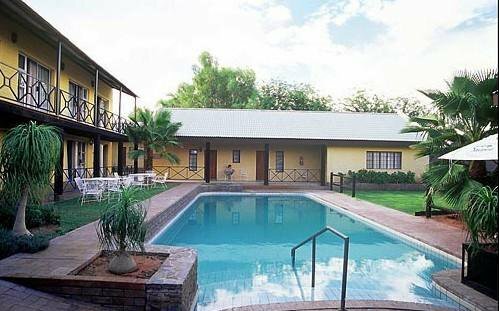 Our lodge has a Hospitality Association of Namibia annual award of Excellence in Gold. 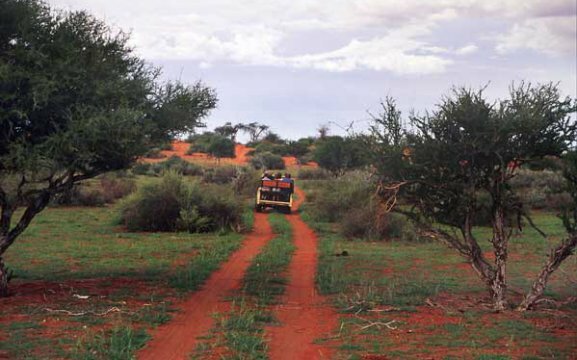 We have a few animals and birds on our 8,000ha farm, great opportunity for a game drive or nature walks. 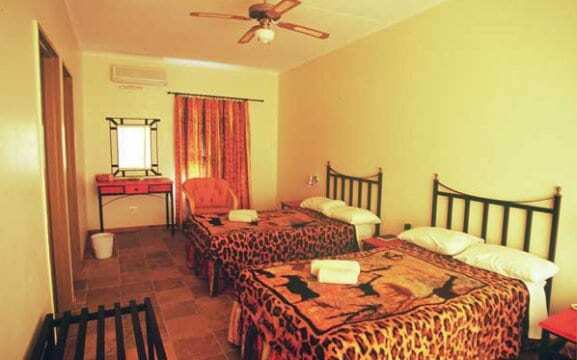 Guests can see the native acacia trees and many other herbs and grasses. 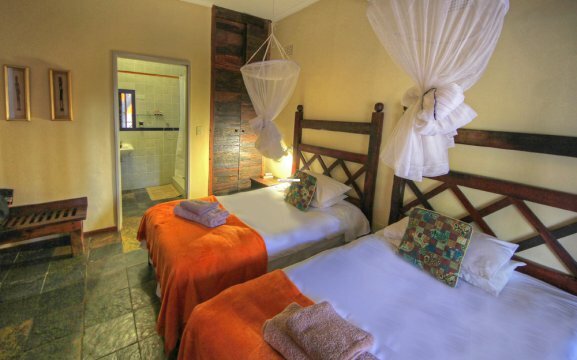 Auob Country Lodge offers 25 standard rooms and 17 campsites. 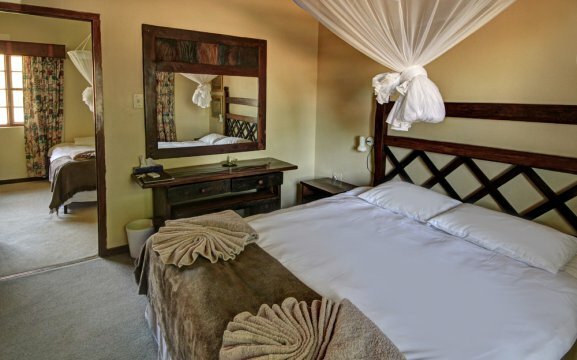 All rooms are air-conditioned and feature a fan, en-suite bathroom, leopard print bedsheets, tea/coffee facilities, satellite TV, mosquito nets and have a private balcony. 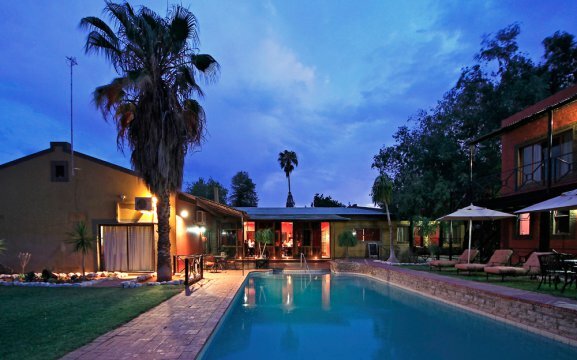 Whereas the campsites have braai facilities and ablution blocks. 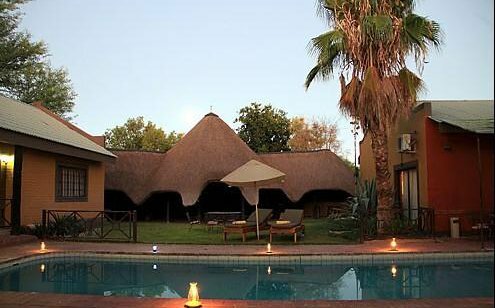 Activities at the lodge include game drives, hiking trails, bird watching, stargazing and dinner on the dunes. 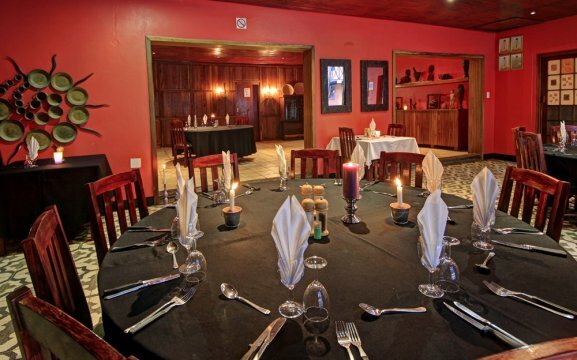 Our dinner on the dunes offers an amazing sundowner, all romantic with the peaceful sounds of nature. 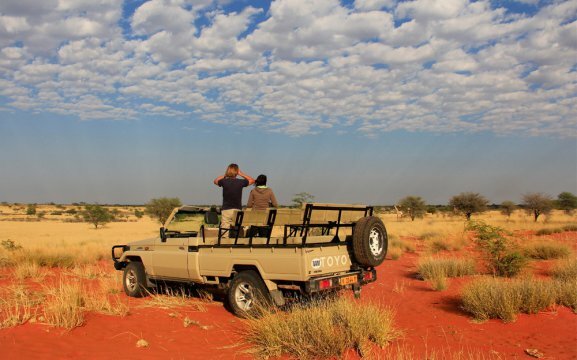 We have a guided safari over the red Kalahari Dunes in the morning and afternoon. 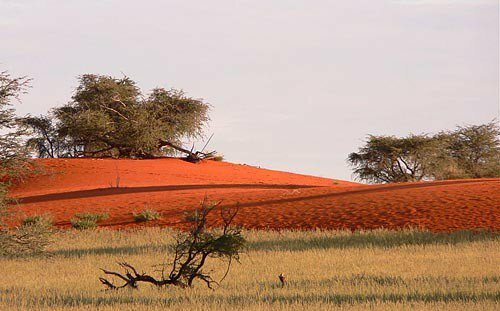 Our hiking trails are through the vegetation and on the dunes, either guided or unguided. The stargazing depends on the weather, here you will see the Southern Cross, Vela and Centaurus Constellations and learn more about the stars.